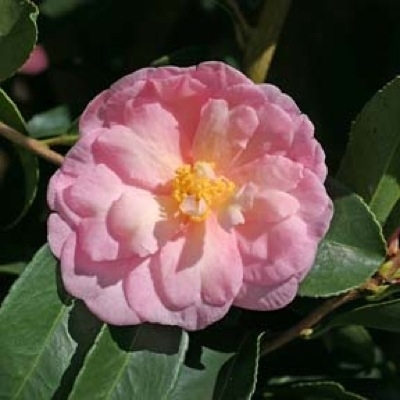 White, heavily ruffled flowers with reddish purple eyes compliment handsome, leathery dark green leaves. 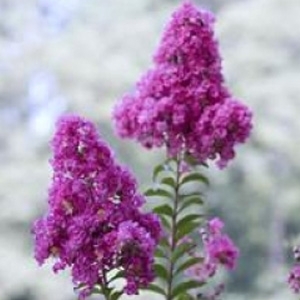 This attractive shrub blooms nearly continuously over a long season, with little to no seed production! Dense, compact growth habit. Tolerant of air pollution and drought. Makes a wonderful informal hedge or screen. Deciduous. Grow superfruit in your own backyard! Big Lifeberry has extra-large fruit, perfect for home cooks. 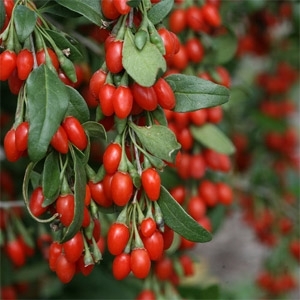 Goji berries are easy to grow in full sun, although some staking may be necessary for maximum access to the nutrient-rich fruit. Add it to home gardens, or grow it in a patio pot. Grow superfruit in your own backyard! These extra-sweet fruit are perfect for snacking. 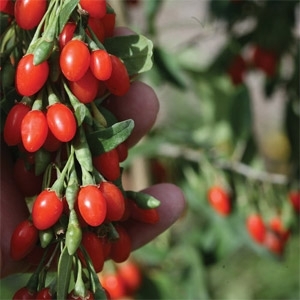 Goji berries are easy to grow in full sun, although some staking may be necessary for maximum access to the nutrient-rich fruit. A pollinator is not needed. Red, anemone shaped blooms in the mid to late spring. To zone 6. 1 & 3 gallon sizes. 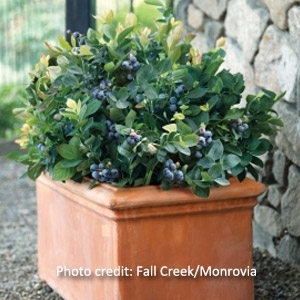 This new compact blueberry is a four-season showstopper! Spring's white, bell-shaped flowers give way to an abundant summer crop of delicious, sweet blueberries. Glossy leaves range in color from peachy pink to orange to emerald green. Evergreen in most climates, with rich eggplant purple winter foliage. 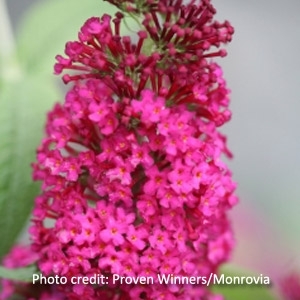 This award-winning little shrub is an outstanding choice for the landscape or patio. If you think Miss Ruby has awesome flower color, Miss Molly pushes the color spectrum with blooms boasting rich hues of dark Sangria-red. 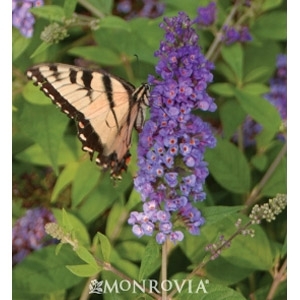 Flowers appear from July until frost, a real treat for butterflies and hummingbirds! Compact branching form remains neat and tidy in the landscape, and sterile flowers will not produce unwanted seedlings. 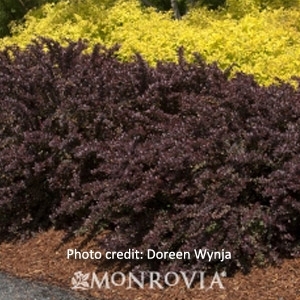 Displays large, long lasting clusters of dark purple crepe-like flowers. Handsome foliage has bronzy cast in spring, bright green in summer, orange-red fall color. Mildew resistant. 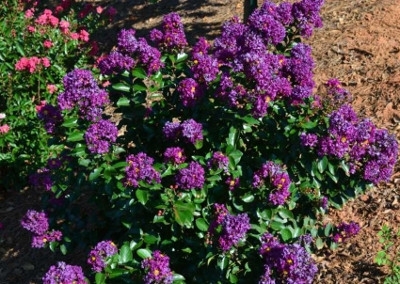 Blooming in early summer with dark purple flowers, this dense shrub form of crape myrtle fits in the landscape where taller crape myrtles do not. The new growth has a reddish tint and eventually matures to glossy green, setting off the rich purple flowers. 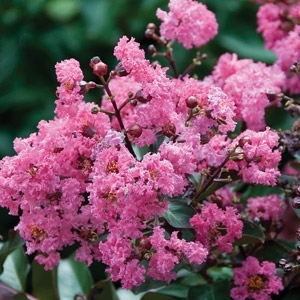 Like the other Magic crape myrtles, Plum Magic will bloom again in late summer if the first flush of flowers are deadheaded. It is also highly resistant to leaf spot and powdery mildew. Deep wine red leaves emerge in spring and age to dark purplish green, providing a striking contrast to vibrant pink summer flowers. 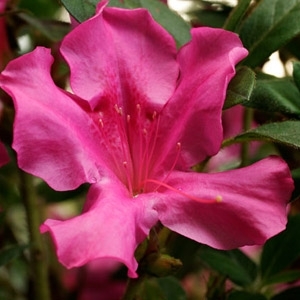 Compact, multi-stemmed form is ideal for use as an accent shrub or small tree, in flowering borders or containers. 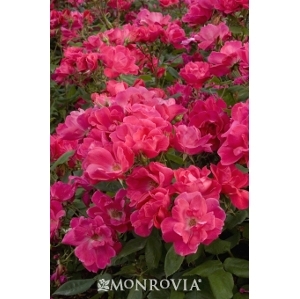 Highly resistant to powdery mildew. Deciduous. 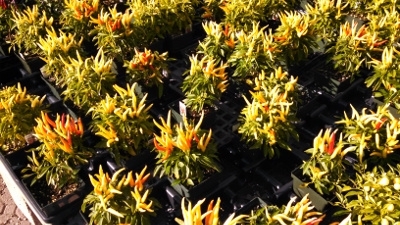 Pick up some Ornamental Peppers grown right here at Bob's Garden Center. We have two sizes available. 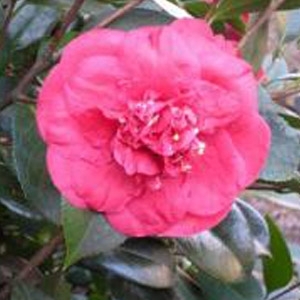 This gorgeous variety of Camellia blooms in the fall and is bright pink. Add some color to your garden or landscape with the selection your see at Bob's Garden Center. Available in 1-gallon size. Another great feature of BloomStruck and this collection is the ability to change the blooms' color to your liking. 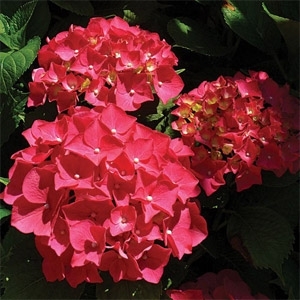 Depending on soil pH, you can have vivid rose-pink or purple hydrangea flower heads. 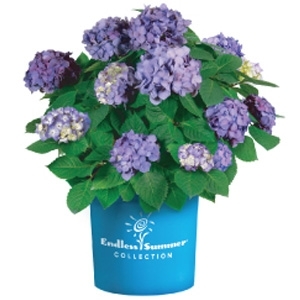 If your soil's pH does not produce the hydrangea colors you prefer, try the Endless Summer Color Kits to change your acidity level and, in turn, change your bloom color! BloomStruck also has incredibly beautiful red-purple stems, dark green leaves with red petioles and red veins, which give great contrast to your other garden shrubs, perennials and annuals. 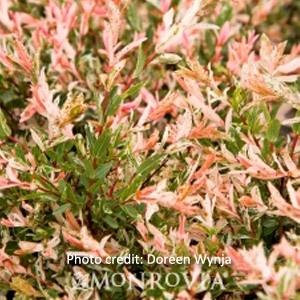 Weeping branches display striking pink stems and buds, surrounded by foliage mottled in white, green and pink highlights. The brightly colored stems provide excellent winter interest. This graceful shrub is a perfect garden accent. Deciduous. 2-gallon. 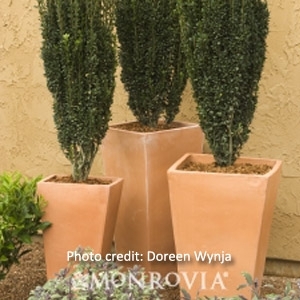 The narrow, columnar form is just right for small areas. Dark green foliage holds its color year round, sporting purple berries in fall. 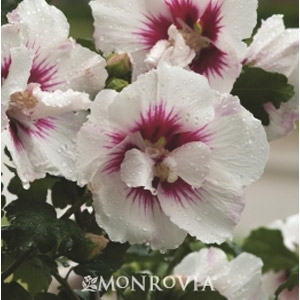 Outstanding for use as vertical accent, near entryways or as a privacy screen. 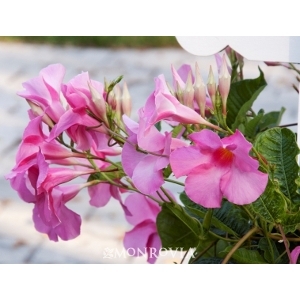 Planted in a large container, it makes an elegant, formal appearance. Evergreen. 5-gallon. 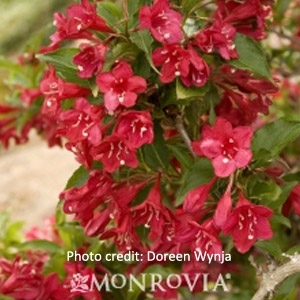 Compact, mounding shrub displays rich-red flowers featured against dark green leaves. Useful in a background planting, flowering screen or in shrub borders. Deciduous. 1-gallon. 1 gallon. A popular dwarf conifer displaying dark green needles on dense branches. 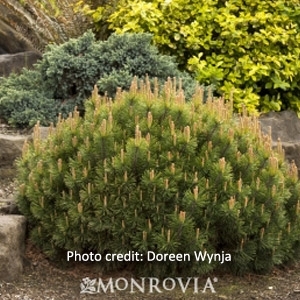 Useful slow growing evergreen for rock gardens, mass plantings and in groupings with broadleaf plants. Makes a great container specimen. Lustrous dark green foliage adorns this vigorous, upright grower. 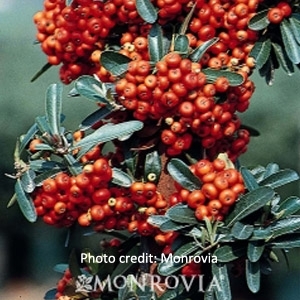 Highly valued for its huge masses of bright-red orange berries that create a spectacle of fall color. An early fruiting variety. An excellent evergreen hedge, screen or accent. 1 gallon. 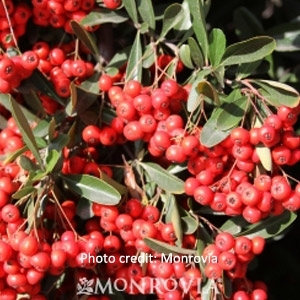 Bold, upright grower displays intense red berry clusters late in season and holds them through winter. Excellent hedge, screen, windbreak or barrier planting. Small white flowers. Thorny evergreen. 2 gallon. A dwarf, densely branched form displaying deep crimson colored foliage all season long. Best in full sun. Excellent for borders or small hedges. Deciduous.